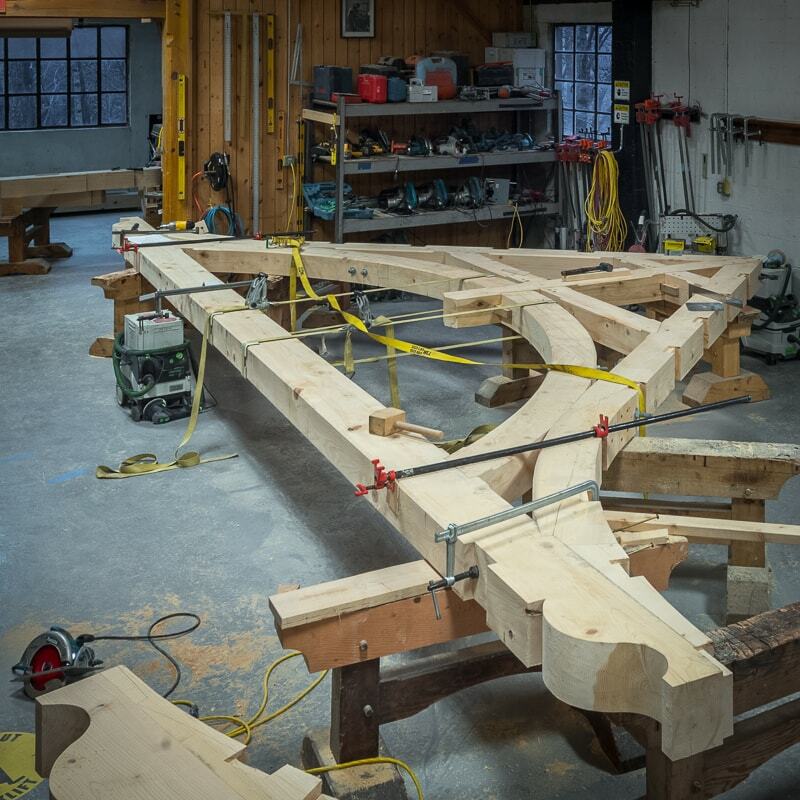 We’re often asked, “What is the best wood for timber framing?” Although it’s estimated that 60% of timber frames in North America are built from Douglas Fir, there are other timber frame wood species which may work as well, or better, for your building project. 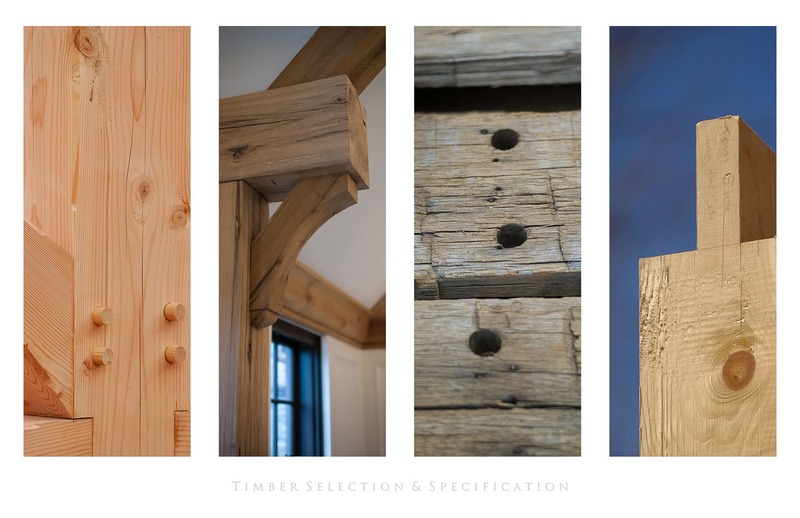 So, here in one place, is exactly how to select a timber specie from the most common woods used in timber framing. 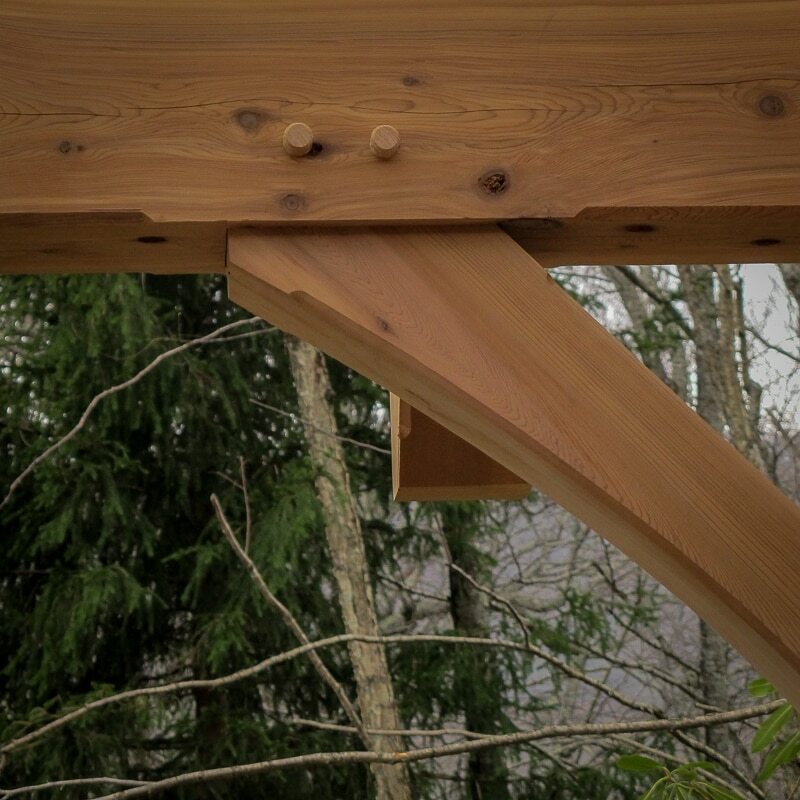 Perhaps as important, you’ll learn how to specify the other important wood characteristics for a timber frame–things like timber grade, moisture content, heart content, and surface texture. 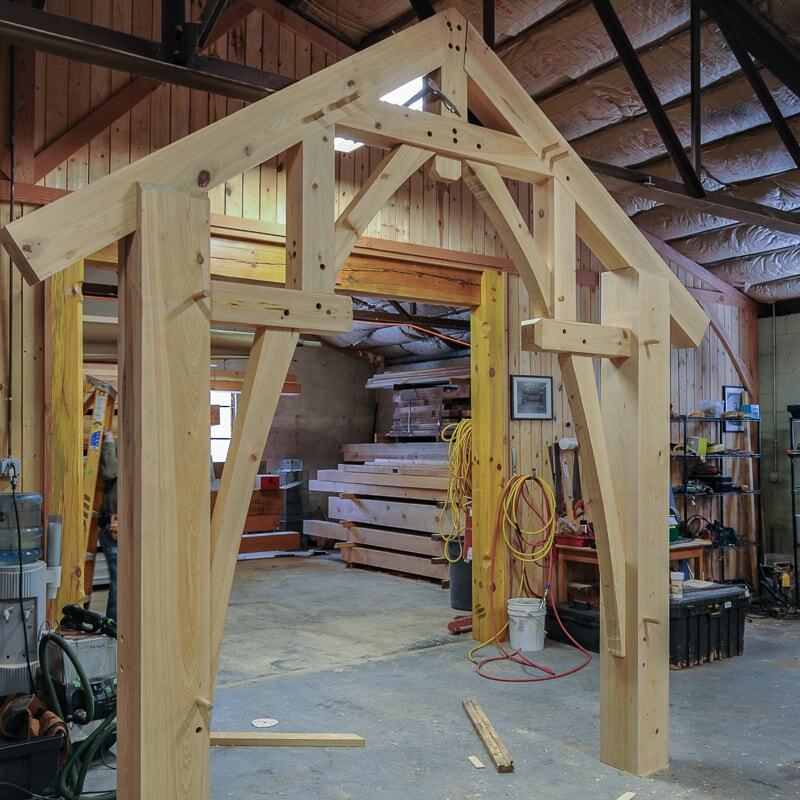 For each of the common woods used in timber framing below, we’ve noted the characteristics, decay resistance, notes specific to timber framing–as well as an indication of the relative cost ($ less costly, $$ average, $$$ more costly). 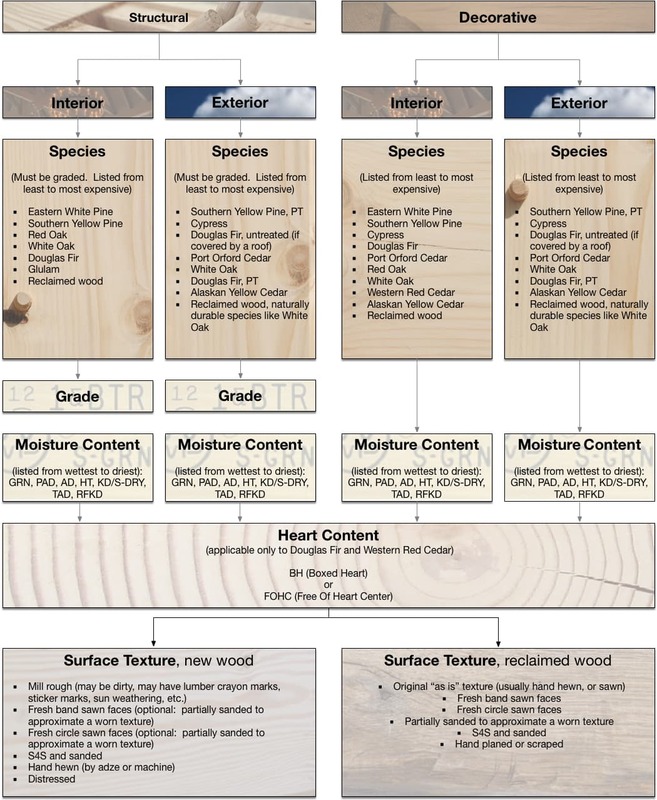 Some of the information below is adopted from the USDA Forest Service’s Forest Products Laboratory book: Wood Handbook–Wood as an Engineering Material. Also known as southern-cypress,tidewater red-cypress, yellow-cypress (inland), and white-cypress. 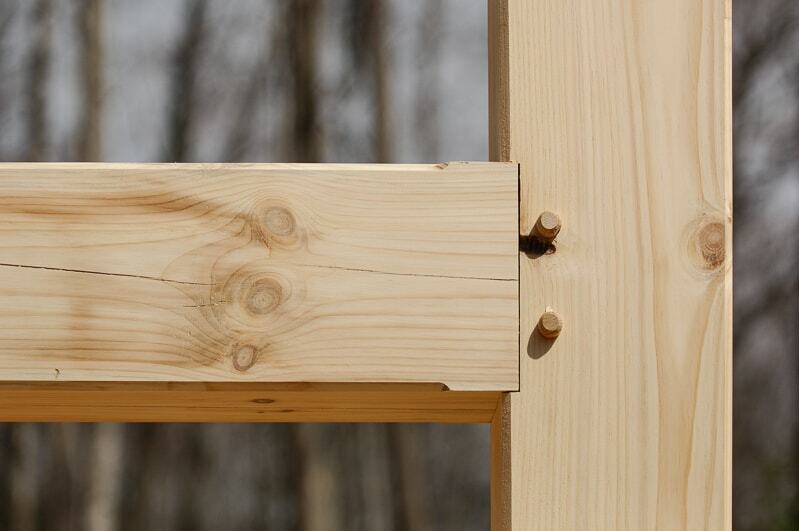 Southern US softwood; moderately heavy, moderately strong and moderately hard. Old growth is resistant or very resistant to decay, but no longer readily available. Second growth is moderately resistant to decay. Sapwood is narrow and white colored. Heartwood color varies from light yellowish to reddish brown color. Shrinkage is moderately low but somewhat higher than the cedars. Difficult to obtain longer than 20′. $$.